SeaWorld says it will no longer allow its employees to pose as animal rights activists to spy on its critics. This is the first time that SeaWorld has publicly admitted that its employees did pose as animal rights activists, a charge first made by People for the Ethical Treatment of Animals last summer. SeaWorld (SEAS) CEO Joel Manby announced the new policy when talking with investors Thursday. He did not issue any apology for the actions of SeaWorld employees. "This activity was undertaken in connection with efforts to maintain the safety and security of employees, customers and animals in the face of credible threats," Manby said. Manby did not say who in the company authorized employees to spy. He only said that the company conducted an internal investigation when PETA made the allegation. Paul McComb, the SeaWorld employee named by PETA, was placed on administrative leave during that internal probe. Manby said Thursday that McComb was back at work at the company, though in a different department. He did not give details about his former or current position. PETA said that McComb, who had used the name Thomas Jones while infiltrating the group, had tried to incite its members to break the law, posting inflammatory messages on social media such as "burn [SeaWorld] to the ground" and "drain the new tanks at #SeaWorld." He had urged other SeaWorld protesters to "get a little aggressive," to engage in "direct action." "The tawdry orca sideshows and despicable spying tactics are sinking SeaWorld's ship," said PETA's statement in response to the company's announcement. SeaWorld has faced declining sales in recent years amid criticisms of its practices. 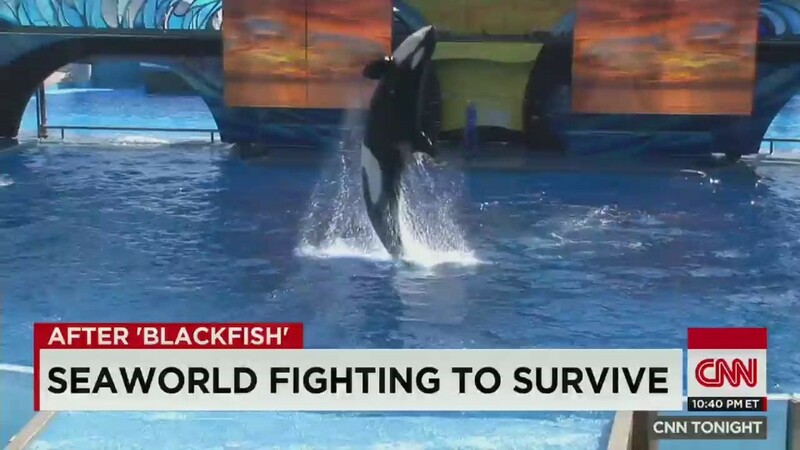 An unflattering documentary called "Blackfish" aired in theaters in the summer of 2013 and then on CNN in the fall of that year. In the face of that criticism, SeaWorld said last fall it will end the orca shows at its San Diego park by the end of this year.